A hub for the hippies and all things weird and wonderful! We love the raw food stands, organic cosmetics on sale, the stall selling incredible sheep skins, and of course the infectious live music where literally everyone of every age is bopping away! There is one beach restaurant which never closes and here you can enjoy a fresh fish lunch on one of the MANY sunny days we have on this island (which usually enjoys over 300 days of sunshine each year!). This little cala can be found just north of Santa Eulalia. 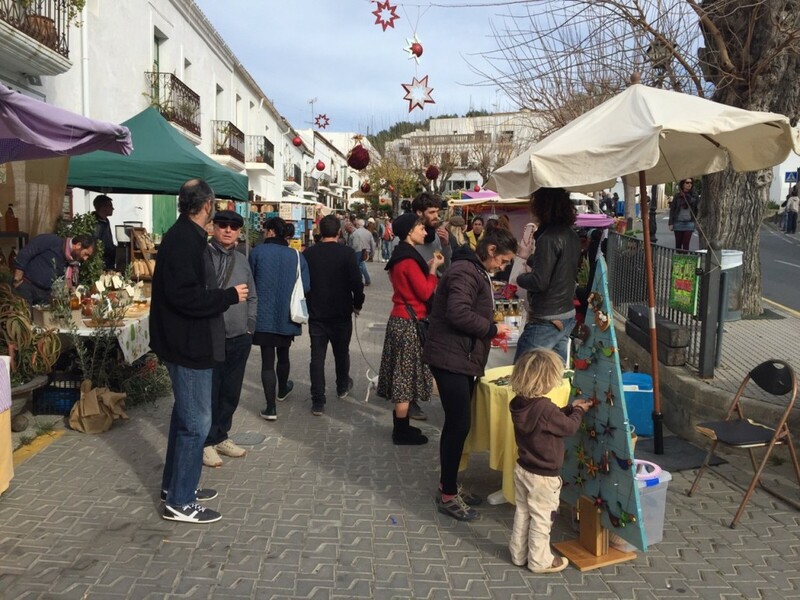 If you really want to max out those Sunday market vibes, try the flea market at Cala Llenya. Here you will discover an abundance of stalls offering a veritable treasure trove of second hand delights and a weekly lineup of live country music style bands. We love to head there for a mooch after the Sant Joan market.